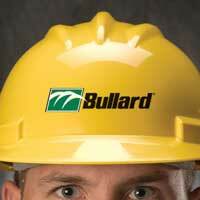 Founded in 1898, Bullard is a leading manufacturer of high-quality personal protective equipment and systems that are marketed worldwide. Product lines include thermal imagers, hard hats, firefighter and rescue helmets, supplied air respirators, powered air-purifying respirators, and air quality equipment. Bullard is a fifth-generation family-owned enterprise whose employees are committed to excellence in every product category. The Company, headquartered in Cynthiana, Kentucky, is led by CEO Wells Bullard. The Board of Directors has been led by Edward “Jed” Bullard since 1998. Bullard traces its heritage back to 1898, a time of great opportunity in the western United States. Founded in San Francisco by Edward Dickinson Bullard, the Company originally supplied carbide lamps and other mining equipment to gold and copper miners in California, Nevada and Arizona. When his son, E.W. Bullard, returned from World War I, he combined his understanding of customer needs and his experience with his doughboy army helmet to design a protective headgear for miners. This “Hard Boiled®” hat, introduced in 1919, represented the first of many innovative designs that have led Bullard to its prominent position in head protection for industrial and emergency response applications. During the 1930s, while the Golden Gate Bridge was being constructed in San Francisco, Bridge engineer Joseph B. Strauss contacted Bullard to request that the Company adapt its hats to protect bridge workers. Bullard not only supplied hard hats for this famous project, but its engineers also designed an original supplied air respirator for workers responsible for blasting the steelwork prior to the application of the Bridge’s International Orange paint. Bullard went on to design innovative supplied-air respiratory protection solutions for such key industries as pharmaceutical manufacturing and automotive refinishing. Following the development of the hard hat, Bullard engineers designed the Company’s first fire helmet in 1930. 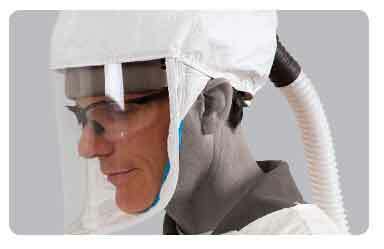 The Company quickly became a technology leader in this industry, developing and introducing the first fiberglass fire helmet in 1947, the first NFPA-approved thermoplastic fire helmet in 1983, and a new helmet that incorporated a non-slip ratchet suspension with a knob in the back for simple sizing. Beginning in 1972, the Company moved its production facilities from Sausalito, California, to Cynthiana, Kentucky, to take advantage of improved transportation costs and an available workforce. Nearly two decades later in 1991, Bullard headquarters also relocated from Sausalito to Cynthiana, creating new synergies between office and manufacturing operations. Since 1994, Bullard has maintained ISO9001 certification, signifying the Company’s ongoing commitment to a rigorous quality system in its manufacturing operations. 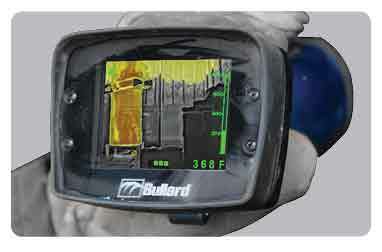 Already a recognized leader in the fire safety products market with its line of fire helmets, Bullard introduced its first thermal imager in 1998. This comprehensive product line combines the most advanced thermal imaging technology with Bullard’s expertise in high heat, impact-resistant materials to bring firefighters the most durable and reliable thermal imagers in the world. 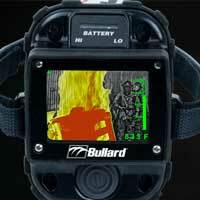 Over a decade later, Bullard Thermal Imagers continue to be the number one choice of firefighters around the world. The Company’s key to success is assembling the right blend of people, products and technology, and focusing these resources on customers. From the receptionist and the design engineer to the machine operator and the shipping specialist, every Bullard team member has a genuine appreciation for the customer. As a true team, we work as one to get the job done. 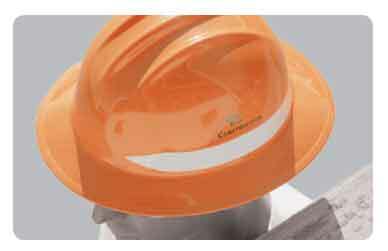 Since Bullard engineers invented the hard hat in 1919, the Company has been committed to manufacturing the best head protection equipment on the market. All Bullard hard hats and helmets have been carefully engineered to deliver superior performance, quality and durability. Our comprehensive line of hats ranges from the basic protection provided by the Standard Series to the advanced protection offered by the Advent® Series. 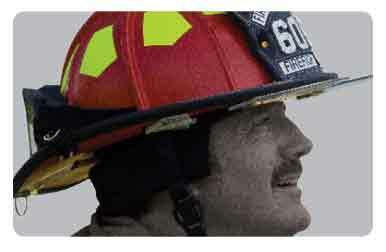 Bullard offers a full line of fire helmets to firefighters and other first responders throughout the world, from traditional fiberglass helmets to the very latest in high-heat advanced thermoplastic helmets. These products are known to provide outstanding head protection, superior comfort, unmatched durability and excellent on-the-job performance. Bullard engineers continually work to incorporate recommendations from leading veteran firefighters, ensuring its products are designed by firefighters, for firefighters.